Cape Naturaliste Road wends its way along the peninsula from the small township of Dunsborough out to the lighthouse at the end of the headland. We have always loved this pretty area in the South West Cape Region of WA. It has a more tranquil beauty than the equally beautiful wild and rugged coastline round the tip of the Cape. 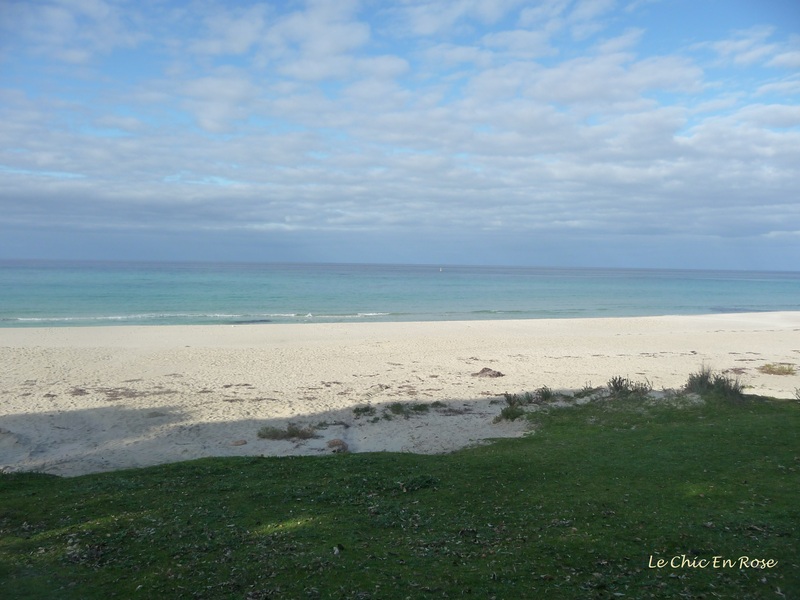 This stretch of coastline is part of the Meelup Regional Park, which extends 11.5 kms along the coast from Dunsborough to Bunker Bay. Facing north east has meant the beaches and small coves are protected from the onslaught of the south westerlies pounding in from the Indian Ocean. As a result many trees and plants, which would not survive the strong westerly winds on the other side of the Cape, are able to thrive, giving the area its distinctive appearance. Tall trees and dense vegetation stretch down towards the gently lapping waters of Geographe Bay. We stopped off for a brief stroll along Meelup Beach on our recent trip down south in early September. We literally had the place to ourselves! A weekday out of season and there wasn’t a soul around apart from ourselves and a few seagulls enjoying the late afternoon sun. Meelup means “place of the moon rising” and was named by the local Wardandi people, the Aboriginal custodians of the area, as the full moon appears to rise out of the sea on a few days of the year. It must be a hauntingly beautiful site to witness the moon rising in such a peaceful and tranquil place! We more or less had the place to ourselves – this seagull is enjoying the late afternoon sun! Monsieur Le Chic contemplating the meaning of life – it is such a relaxing spot! It is the sort of place where you feel a million miles away from the cares of the world, which is why we love it so much. We have been coming down here for years with our 2 girls and will enjoy taking our 2 granddaughters here in the years to come! The beach is beautiful ! Just beautiful! And to have the whole place to yourselves – sounds incredibly peaceful. So nice you’ll be able to bring your grandkids there and keep it going through the generations.. It was amazing that there wasn’t another soul (besides seagulls!) in sight. Obviously in the summer months and at weekends there would be a few other people there. It was incredibly peaceful – you really feel refreshed after visiting somewhere like that. Yes it’s lovely we can take our grandkids there – seems like only yesterday we were taking our own kids!! Gorgeous and peaceful! All the best for Christmas and the New Year. What a beautiful place Rosemary, to have it all to yourself is incredible as well. Looks like the perfect spot to keep visiting with your little granddaughters. It looks like the perfect beach to return again and again Rosemary for sure, I totally agree, the perfect antidote to all this Christmas madness. Loving those blue skies too….. Best wishes to you as well for Christmas, glad your daughter had a safe journey!! Thanks Joy – it’s great to see her again! It’s really pleasant here at present not too hot – by Perth standards it’s quite cool for the time of year! It really is simply lovely! It makes me think of some of the beaches on the west side of Florida, on the Gulf of Mexico.